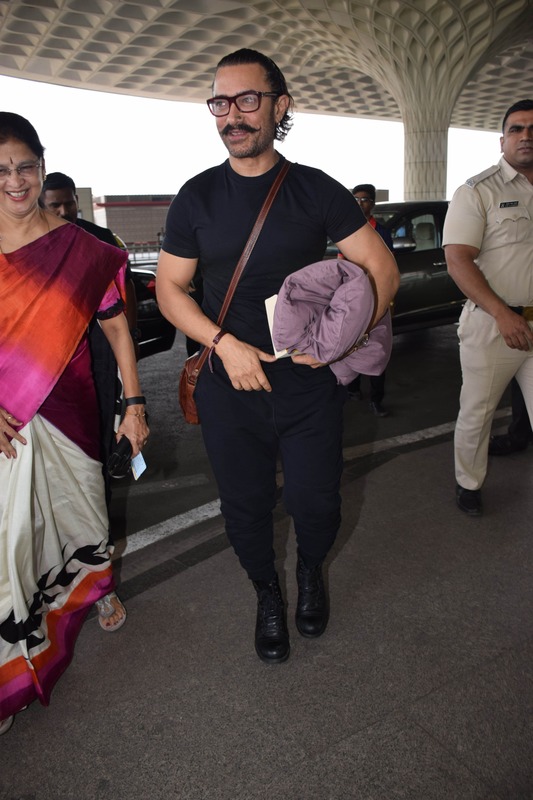 The actor, who had been shooting in Jodhpur, had arrived in Mumbai recently to celebrated his 53rd birthday with his family. 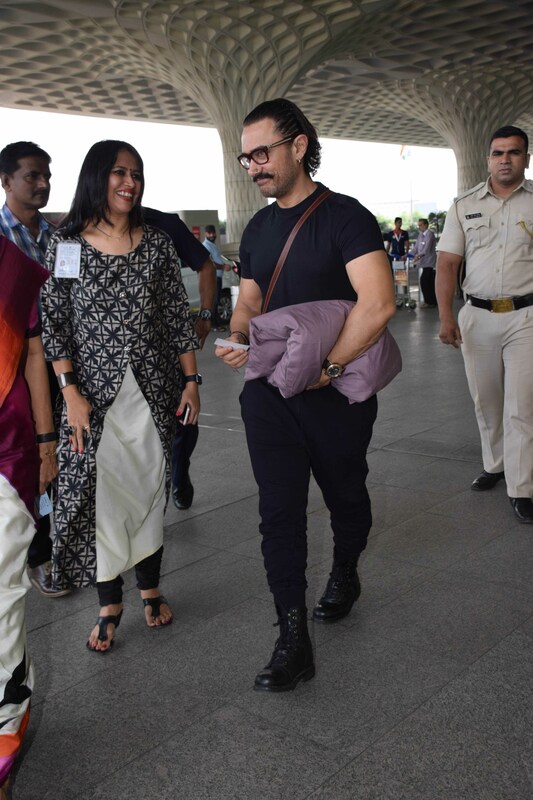 His much-talked-about PDA with wife Kiran Rao at the airport was too cute to handle. Now, the actor is heading back to Jodhpur to resume his shooting for the film. 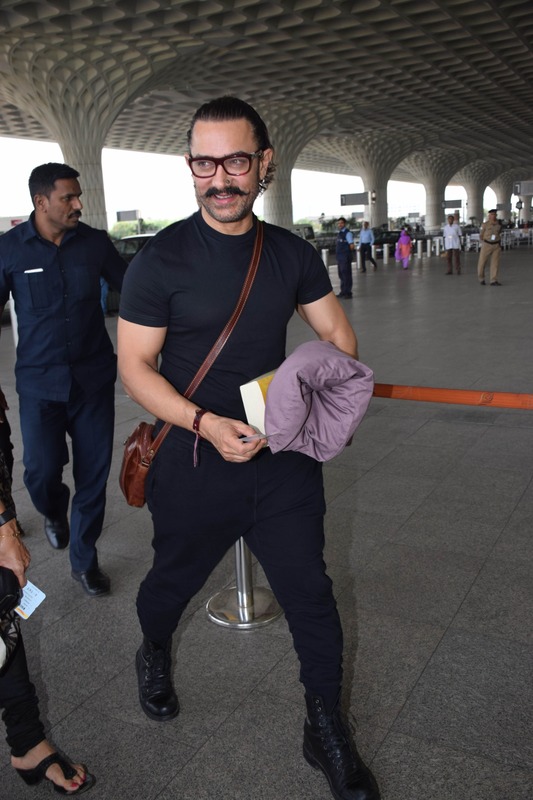 Aamir was seen in all-black attire. He was seen wearing a plain black tee with black pants and matching shoes. 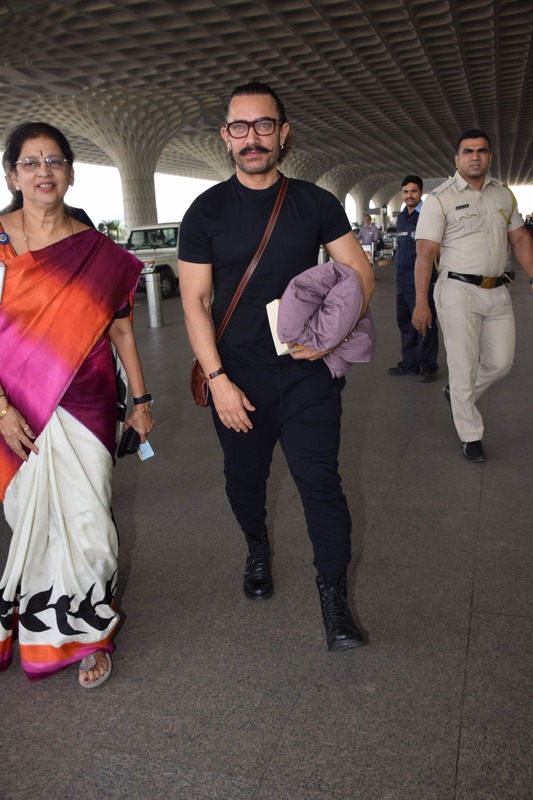 Aamir, who has been busy with the hectic schedule of his next project 'Thugs Of Hindostan', will be sporting an entirely different look in this Vijay Krishna Acharya-directed film. The actor has been sporting handlebar moustache for quite some time and has even grown his hair. He has also been sporting a nosepin and earrings for some time. To carry this look, Mr Perfectionist had to go through the painful procedure of getting his nose and ears pierced. 'Thugs Of Hindostan' is reportedly an adaptation of the novel, 'Confessions Of A Thug' written by Philip Meadows Taylor. The film also stars Amitabh Bachchan, Katrina Kaif and Fatima Sana Shaikh in lead roles.